The Krav Maga System originated in Israel within what is known today as the IDF (Israel Defense Forces). This self-reliant form of individual defense was created during Israel’s creation as a country. It has been adopted by many defense and security bodies within Israel as well as by numerous other countries. The Krav Maga system was developed to allow an individual to react to a threat and/or attack in a quick, simple and decisive manner. As the complexity and elements of each specific threat is different, the tools and training of the individuals and security/protection organizations will change to allow for adapting to the situations these personnel will encounter while on duty. Krav Maga in the Military focuses on training and preparing the soldier for battle and violent conflicts in different scenarios. Krav Maga in combat situations – the ability to judge relative position to a threat situation and determine whether Krav Maga (close vicinity) or a hand weapon (distant) is the more appropriate response. 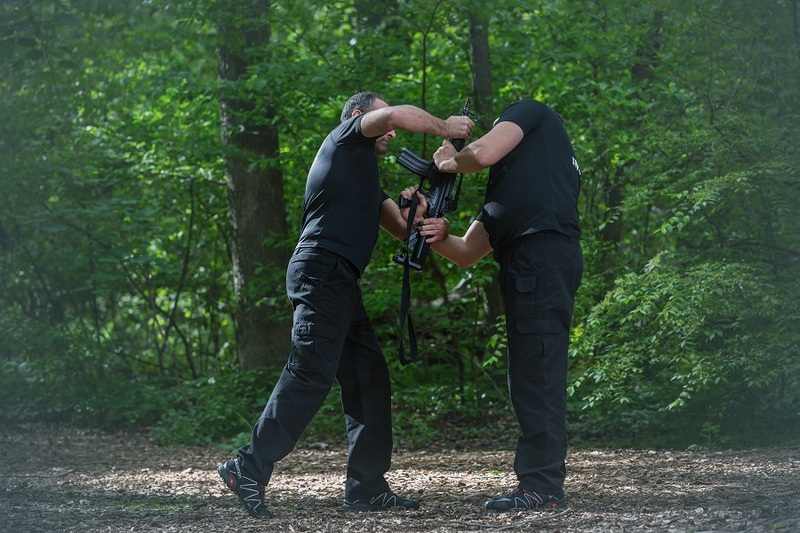 A Law Enforcement Officer, after their training, will often find themselves in a situation which requires the knowledge and determination taught by Krav Maga. 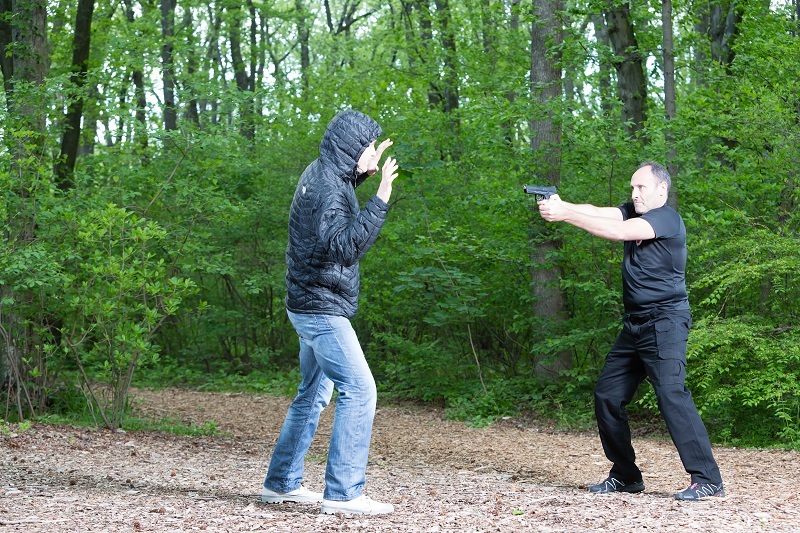 These situations can arise with both unarmed and armed assailants where actions can quickly intensify from an initial spark into a dire situation. These events can result in many different consequences, both mental and physical. A lack of mental discipline and training can critically affect the outcome of these types of events. In general, Krav Maga emphasizes prevention and early threat detection which may require physical intervention. It is critical that the security personnel be well-trained professionals, as their job can requires a fast transition from the daily routine to dealing with a hostile security situation. 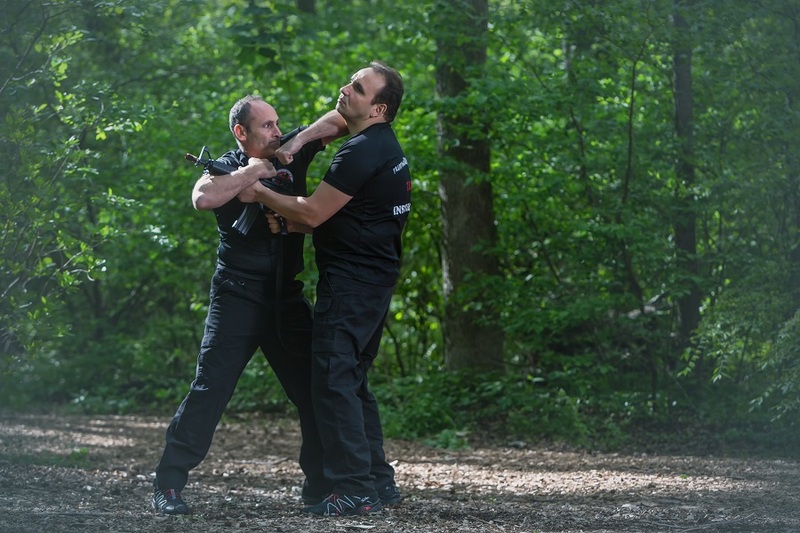 Therefore, in this program we focus on developing the individual’s determination, aggressiveness and considered response, all in combination with the simple and effective Krav Maga techniques.